To request an application packet, please provide your complete MAILING address here. How many application packets would you like mailed to you? Welcome to the Concealed Weapons Permits Unit website. Here you can find all the relevant information pertaining to concealed weapons within the state of Arizona. Our mission is to provide timely and accurate services to our customers. We embrace the latest technologies and welcome innovative ideas to assist our operations in an ever changing industry. Online training: Use of NRA's name, titles and trademarks prohibited. April 10, 2014, LEOSA instructors please use the revised application form (under the "Forms" tab) for all LEOSA applicants. Instructors must indicate what type of Judgmental Assessment was utilized while conducting the training and whether the student passed or failed the assessment. Please allow 60 business days to process an application for a concealed weapons permit. Arizona POST has adopted a new handgun qualification course. The 50-Shot Semi-Automatic Qualification Course has been circulating as a draft since last year was approved on November 14, 2012 by the POST Board. This is the only authorized Semi-Auto Qualification Course for the Annual Firearms Qualifications as required per Rule 13-4-111C. The previous Firearms Qualification Course has been renamed with Board approval to the 50-Shot Revolver Qualification Course. The courses along with the existing Low Light - Night Time Course can be downloaded here. If you have any questions, please contact William Baker, [email protected] (602) 223-2240. All other previously approved courses that have been submitted by agencies as “alternate courses of fire” are no longer valid for the required annual qualifications. Please share with your Training Staff and Firearms Instructors. William “Dusty” Baker | Concealed Weapons Program Coordinator | Arizona Department of Public Safety. FYI – AZ POST has changed some of the terminology on the new Semi-Auto Qualification Course and Definitions since they were posted last week. This was done to help answer some questions that we have been receiving from a number of Firearm Instructors. You can see the changes here. Thanks for your interest in contacting the Concealed Weapons Permit Unit of the Arizona Department of Public Safety. You may contact us using any of the methods listed below. 8:00 a.m. - 5:00 p.m. Monday - Friday. Closed on all State Holidays. Click here to email Concealed Weapons Permit Unit. Due to changes made to A.R.S. 13-3112 during the 2010 and 2011 legislative sessions, effective July 20, 2011, the Concealed Weapons Permit Unit will no longer approve or renew concealed weapons training programs, training organizations, or firearms-safety instructors. Amendments to A.R.S. 13-3112 in 2010 added a number of new ways in which an applicant could qualify for a concealed weapons permit through training or experience. These new additions removed the statutory minimum requirements which the Unit used to evaluate and approve training programs. Since there are no statutorily defined minimum requirements, the ability of DPS to evaluate, approve and support training programs has been greatly diminished. For this reason, after July 20, 2011, the Concealed Weapons Permit Unit will no longer update, support or sanction the use of the proprietary firearms-safety training course previously used to train permit holders. Furthermore, DPS will no longer review or approve any lesson plans and will no longer publish or update the “Legal Issues Relating to the Use of Deadly Force” guideline. Additionally, since changes to A.R.S. 13-3112 made in the 2011 legislative session removed the authority for DPS to approve or authorize instructors and organizations, DPS will discontinue this practice. However, for those that currently hold an approval or authorization, current rules will still govern those approvals or authorizations until expiration pursuant to A.A.C. R13-9-309, which provides that a firearms-safety instructor approval is valid for 5 years from the date of issuance or renewal and the authorization of an instructor who holds a valid concealed weapon permit will expire when his current permit expires. Going forward, liability for use of previously approved training programs rests solely on the instructor and or organization. On July 22, 2004, the United States Senate passed H.R. 218, the “Law Enforcement Officers’ Safety Act” by unanimous consent and was subsequently signed by President George W. Bush. The bill exempts qualified active and retired law enforcement officers from select local and State prohibitions on the carrying of concealed firearms. It does not provide police officer liability protection, nor does it completely exempt active or retired officers from all state laws regarding carrying concealed firearms. On August 12, 2005, Arizona HB 2450 took effect which allows the Concealed Weapons Permit Unit (CWPU) to issue a “Certificate of Firearms Proficiency” to qualified retired law enforcement officer applicants who are Arizona residents. On October 12, 2010, President Barack H. Obama signed S. 1132, the “Law Enforcement Officers’ Safety Act,” into law. The Act, now Public Law 110-272, went into effect immediately. The bill to improve the ability of retired officers to comply with the documents required by existing Federal law when carrying a firearm under 18 USC 926C and makes other modifications to existing law. On July 3, 2015, Arizona HB 2300 took effect which designates a person who was a municipal, county or state prosecutor as a Peace Officer, and allows an National Rifle Association Certified Firearms Instructor to administer the Arizona Peace Officer Firearms Standard Course (R13-4-116(E)), pursuant to ARS 38-1113(G)(2). It also expands the meaning of a “qualified retired law enforcement officer” in ARS 13-3112(T). Retired officers must qualify with the type of firearm they wish to carry and pass a judgmental shooting evaluation. Applicants must qualify through an AZPOST certified firearms instructor approved by the CWPU. The instructor will provide the applicant with an application form once the qualification course has been completed. Active duty peace officers do not need this certificate; they may carry using their law enforcement credentials. The firearm qualification will consist of the standard AZPOST requirements (50 round course, ranges of 25, 15, 7 and 3 yards, minimum passing score is 210). The TQ 15, TQ 19 or TQ 21 targets may be used. Judgmental shooting evaluations can be accomplished by a variety of approved means to include the use of FATS/Range2000 units, “friend or foe” targets, video scenarios, etc. This portion of the qualification must follow AZ POST requirements. Required application documents include: a completed LEOSA application signed by the instructor, a photocopy of the applicant's photographic identification credentials, a letter from the agency where the officer was employed and the appropriate fee. Fingerprint cards are not required as no background check is conducted. The agency letter must be on agency letterhead and include the applicant’s name, employee or badge number, dates of employment, and employment status. The letter must also contain the name, identification number, and contact telephone number of an individual within the agency who can verify the information provided. Use the CWPU LEOSA form letter as all others will be rejected unless arrangements have been made with the CWPU. If a certificate of firearms proficiency expires, the former certificate holder may obtain a new certificate by complying with all of the requirements in Arizona Administrative Rule R13-9-402. Certificates are valid for one year, beginning from the date the qualification was completed. Certificates are not CCW permits; they are simply documentation that the training/qualification has been completed. The certificate must be carried along with the retired officer's credentials when carrying a concealed firearm. Nothing precludes individual law enforcement agencies from qualifying their own law enforcement officers and issuing their own certificate of firearms proficiency credentials. - Locate an Instructor who is authorized to conduct the LEOSA qualification and establish a qualification date. Note: For renewal submissions, you do NOT need to submit the letter from your agency or the photocopy of your credentials,UNLESS your LEOSA certificate is expired. Normally, you will receive your certificate within seven to ten business days. The LEOSA certificate is valid for one year from the date of qualification. Note: If the LEOSA certificate of firearms proficiency is expired you may not carry concealed under the LEOSA provision. Due to the language of the federal law, each state is required to follow state police officer firearm certification requirements. In this state, Arizona Peace Officer Standards and Training (AZPOST) rules apply. - Be approved by the AZ DPS CWPU. Retired AZPOST certified peace officers must have been certified AZPOST firearms instructors prior to retirement. To become a LEOSA Instructor you must submit a LEOSA Instructor application to the CWPU. The application can be found in the forms section. Once authorized as a LEOSA instructor you will be provided with a unique LEOSA instructor identification number and informational materials. Normally, you will receive this information within seven to ten business days. Who is eligible to carry concealed firearms under this legislation? - is not prohibited by Federal law from receiving a firearm. - any destructive device (as defined in section 921 of this title). I am a fully sworn law enforcement officer with statutory law enforcement authority, but I work for a private university or other non-governmental employer. Will I be able to carry under the provisions of H.R. 218? No. You must be an employee of a local, State or Federal governmental agency to carry a firearm under the provisions of this legislation. My agency has a policy that does not allow me to carry my firearm while I am off-duty. Does this mean that this legislation will not benefit me? If you are a qualified active law enforcement officer, you will legally be able to carry a firearm under the provisions of H.R. 218. There may be agencies which enforce or adopt policies, rules, regulations, or employment conditions which discourage or punish officers which choose to carry while off-duty, but such actions do not mean that the officer cannot carry under the provisions of the bill. I am a retired officer - How do I qualify to carry under the provisions of this bill? The legislation requires retired law enforcement officers to meet the active duty standards for qualification with a firearm in the State where they reside. Retired officers must qualify at their own expense through an authorized Arizona LEOSA Instructor and, once they do, submit an application, documentation and fee to the CWPU. Once approved, the CWPU will issue a certificate of firearm proficiency and the retiree will be able to carry the type of firearm (semi-auto, revolver or both) with which they have been qualified under the provisions of H.R. 218. Retired officers must carry this certificate in addition to the photographic identification issued by their former law enforcement agency. Does H.R. 218 preempt state and local laws regarding firearms? 2) prohibit or restrict the possession of firearms on any State or local government property, installation, building, base, or park. This means private persons or businesses may post signs on their property indicating ”no firearms or weapons” are permitted and no one other than active duty law enforcement officers may bring a firearm onto the premises. Additionally, state or local governments may prohibit firearms on government property in a similar manner. Can a person carrying pursuant to LEOSA carry a concealed firearm into a place that serves alcohol for consumption on the premises? If the business is posted “No Firearms or Weapons” (or something similar), the person may NOT enter with a firearm (see question 6 above). If the business is not posted, a person carrying under LEOSA may enter with the firearm, however, the person is prohibited from consuming alcohol. How this law applies to active law enforcement officers will vary from state to state; contact that state for details. In Arizona, active peace officers may carry in on-sale liquor establishments. I am not a resident of Arizona, but my home state will not issue a certificate of proficiency. Can I use an Arizona certificate of proficiency in my home state or elsewhere under LEOSA? No. Federal law specifically states the certification must be issued by the state of residence in order for it to be valid. 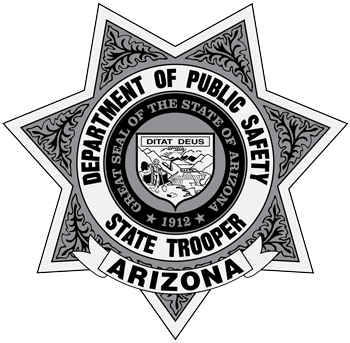 LEOSA certificates of proficiency issued by AZ DPS are only valid if issued to an Arizona resident who is also a qualified retired officer. Note: It does not matter what agency the officer retired from (Arizona or out of state). Example 1: An officer retires from the Dallas PD, moves to Arizona, completes the LEOSA qualification and obtains the AZ DPS LEOSA certificate - this officer is qualified under LEOSA. Example 2: An officer retires from Chicago PD and lives in Chicago. Because the officer can't find any law enforcement agency in Illinois who is conducting LEOSA qualification, this officer travels to Arizona and completes the LEOSA qualification and obtains the AZ DPS LEOSA certificate - this officer is NOT qualified under LEOSA and is at risk of being arrested if carrying a concealed handgun. Does this bill allow me to carry a firearm on an airplane? No. This legislation exempts qualified active and retired law enforcement officers from most state and local laws regarding the carrying of concealed firearms. The carriage of firearms on an aircraft is regulated by federal statutes and airline policy. - be twenty-one years of age or older or is at least nineteen years of age and provides evidence of current military service or proof of honorable discharge or general discharge under honorable conditions from the United States Armed Forces, United States Armed Forces Reserve or a State National Guard. - not be convicted of a felony offense, unless the conviction has been expunged, set aside, vacated or pardoned, or the individuals right to possess firearms has be restored AND the individual must not be a prohibited possessor under state or federal law. - complete a firearms safety training program pursuant to A.R.S. 13-3112.N. Applications with errors or containing incomplete information will be returned for correction. Allow 75 days for the Department to process your application. If you have not received your permit or notification from the department regarding your application after 75 days please contact the Concealed Weapons Permit Unit. Once you have received your permit, inspect it for errors. If you find an error, return the permit along with a completed copy of the CWPU "Error on Permit Form" available under printable forms on this website. Note: All changes of address and phone numbers must be reported in writing to the CWPU within 10 days of the change. Utilize the "Change Form" available under printable forms on this website. - nonimmigrant aliens who possess a valid hunting license or permit that is lawfully issued by a state in the United States. - nonimmigrant aliens who enter the United States to participate in a competitive target shooting event or to display firearms at a sports or hunting trade show that is sponsored by a national, state or local firearms trade organization devoted to the competitive use or other sporting use of firearms. - officials of foreign governments or distinguished foreign visitors who are designated by the United States Department of State. persons who have received a waiver from the United States Attorney General. - has been convicted in any court of a misdemeanor crime of domestic violence. It is the Departments policy to deny a concealed weapons permit to any applicant who is considered prohibited possessors in accordance with U.S. Federal 18 U.S.C. § 922 and Arizona State ARS 13-3112, ARS §13-3101(7). Applicants must complete a firearms safety training program as prescribed by ARS §13-3112(N) and demonstrate competence by providing adequate documentation of completion as prescribed by ARS §13-3112(E). Concealed weapons permits may be renewed every five years. See renewal procedure. - Determine whether you meet the qualifications to obtain a concealed weapons permit. - Review the provisions contained in Arizona Revised Statute Title 13, chapters 4 and 31 which are available on the Arizona State Legislature website. - Using the return envelope provided, send the completed application, adequate documentation which demonstrates firearms safety competence, two complete sets of fingerprints, the appropriate fee in the form of a money order, cashier's or certified check; payable to the AZ DPS to the CWPU. For a current list of fees click here. Fees are non-refundable. Click here to contact the Concealed Weapons Permit Unit by e-mail. Note: You must utilize the "Applicant" fingerprint cards provided by the Department. Some police agencies provide fingerprinting services for a small fee (DPS does not). Call your local police agencies for inquiries. Regardless of who completes the fingerprinting process for you, the prints must be clear, distinct and classifiable. Do not place tape over the top of the prints! If an expired permit issued by the Department' is presented as proof that the individual has demonstrated competence with a firearm, the 'permit' they are presenting must be in good standing to be eligible as proof. Revoked permits will not be considered. Applicants may request the new permit application and applicant fingerprint cards by contacting Concealed Weapons Permit Unit. This will NOT be considered a "renewal" process. The applicant must submit the fee required to obtain a new permit. Fees are non-refundable. I AM CONSIDERING OBTAINING AN ARIZONA CONCEALED WEAPONS PERMIT. WHAT DO I DO? Review the Arizona concealed carry law, ARS 13-3112 and Arizona Administrative Rules R13-9-101 through R13-9-603. We recommend you also review ARS 13-3101 and Title 18 USC section 922(d & g) for complete eligibility criteria and ARS 13-3102, Misconduct Involving Weapons. HOW DO I APPLY FOR AN ARIZONA CCW PERMIT? You may contact the permit unit via email to obtain an application packet. The packet will include a permit application, two fingerprint cards, a pre-addressed return envelope and instructions. Send the completed application, proof of firearms competence, two classifiable fingerprint cards, and the applicable fee to DPS. It takes approximately 75 business days to complete all of the required qualification checks. HOW MUCH DOES THE CCW COURSE COST? DPS has no influence on the cost of the course. Prices are set by training organizations/instructors. I COMPLETED THE DPS ARMED SECURITY GUARD TRAINING COURSE. MAY I USE THAT TO SATISFY THE CCW TRAINING REQUIREMENT? Yes, provide a copy of your Armed Guard card, or the training certificate you received, as proof of firearms competence along with the other documents required to obtain a permit. I HAVE TAKEN A NUMBER OF FIREARMS-RELATED COURSES. CAN I SHOW PROOF OF FIREARMS-COMPETENCE BY PROVIDING ONE OF THESE COMPLETION CERTIFICATES OR DOCUMENTS? ARS 13-3112(N)(1-8) allows exemptions. Please research the statute to see if they may qualify. IS THE APPLICATION FEE TO DPS REFUNDABLE IF I DO NOT QUALIFY FOR A CCW PERMIT? HOW DO I KNOW IF I MEET THE ELIGIBILITY REQUIREMENTS? The eligibility requirements are clearly listed in ARS 13-3112. In addition to those requirements, an individual must not be a prohibited possessor as described in ARS 13-3101 and Title 18 USC section 922(d) and (g). CAN I BE PRE-APPROVED BEFORE I PAY FOR THE COURSE AND THE APPLICATION FEE? No. The resources of the CWPU may not be lawfully used to determine eligibility until receipt of the completed application (and any required documents) and fee. IS AN ONLINE COURSE, TAUGHT BY AN NRA INSTRUCTOR, PERMITTED? No. Click here to see the attached memorandum, issued by the NRA on November 3, 2011. WHAT DO I NEED TO DO TO RENEW MY CCW PERMIT? The Concealed Weapon Permit Unit (CWPU) mails a courtesy renewal packet to customers whose permits are due to expire. The packet is mailed to the address on record approximately 90 days prior to the expiration date. The packet includes a renewal application and pre-addressed return envelope. Complete the renewal application, include the applicable fee, and mail them to DPS. No cash or personal checks please or your application will be returned causing a delay in processing. If you have not received your courtesy renewal packet, you may print the renewal application from this site. Please complete the application and submit it along with the applicable fee to: AZ DPS-CWPU P.O. Box 6488 Phoenix, AZ 85005-6488 Attn: Renewal. If you are unable to print a renewal application call our office or email us. We will be happy to mail renewal materials to you. AM I REQUIRED TO SUBMIT A FINGERPRINT CARD WHEN I RENEW MY CCW PERMIT? MAY I DROP OFF MY APPLICATION? Yes. You may drop off your application packet at the DPS Public Service Center building located at 2222 W. Encanto Blvd in Phoenix between the hours of 8:00 a.m.- 5:00 p.m. Monday through Friday. Please go to the main entrance. AM I REQUIRED TO TAKE A REFRESHER COURSE TO RENEW MY CCW PERMIT? No. An amendment to the Arizona concealed carry law, ARS 13-3112, effective September 21, 2006, eliminated the requirement for refresher training upon renewing a permit. WHAT IF MY PERMIT EXPIRES, MAY I STILL RENEW IT? You may be processed as a renewal between 90 days prior to expiration and 60 days after expiration. If your permit is expired more than 60 days, and you still want to possess a concealed-weapons permit, you must apply for a new permit. You may use your expired permit card as proof you have attended the firearms-safety training, if it is in good standing. See additional information under obtaining a permit. IS THERE A GRACE PERIOD TO RENEW AND IS MY PERMIT VALID DURING THAT TIME? As stated above, you may be processed as a renewal applicant up to 60 days after your permit expires. However, your permit is expired on the date listed. Please contact your local law enforcement agency or a private vendor about available fingerprint services. DPS does not provide applicant fingerprint services, but you can click here for more information on third party fingerprint services. HOW LONG WILL IT TAKE FOR ME TO GET MY PERMIT AND WHAT SHOULD I DO WITH MY EXPIRED PERMIT? Typically applications are processed within 75 days of receipt if no additional research is required. You are not required to return your expired permit to the CWPU. I AM MOVING TO ARIZONA; IS MY CONCEALED WEAPON PERMIT FROM MY FORMER STATE OF RESIDENCE TRANSFERABLE? No, however you may be able to use it as proof of firearms competence when applying for an Arizona permit. Contact the permit unit for additional information. I MOVED TO ARIZONA AND I HAVE A CCW FROM MY PRIOR STATE OF RESIDENCE; HOW LONG BEFORE I HAVE TO GET AN ARIZONA CCW TO CARRY LEGALLY IN ARIZONA? You may carry concealed utilizing another state's permit as long as that permit is valid and in good standing. Once expired you may wish to obtain an Arizona CCW Permit. See additional information under the Reciprocity tab on this web site. CAN I PAY MY APPLICATION FEE WITH A PERSONAL CHECK? No. Acceptable forms of payment include money order, certified or cashier's check made payable to AZ DPS. MAY MULTIPLE APPLICATIONS BE SUBMITTED USING ONE FORM OF PAYMENT? This practice is discouraged. If there is an issue with one application, then all applications must be returned. To avoid any unnecessary delays, we prefer each application be submitted with its own form of payment. CAN I CARRY A FIREARM INTO AN ESTABLISHMENT THAT SERVES ALCOHOLIC DRINKS FOR CONSUMPTION ON THE PREMISES IF I HAVE MY CCW PERMIT? Yes, unless the establishment has posted signs prohibiting weapons (A.R.S. 4-229). You may not consume alcohol while in possession of your firearm (A.R.S. 4-244). There are some additional exceptions see A.R.S. 13-3102. CAN NON-RESIDENTS BE ISSUED AN ARIZONA PERMIT? Yes, provided the applicant is a U.S. citizen. I HAVE A CCW PERMIT; CAN I CARRY MY HANDGUN ON SCHOOL GROUNDS WHILE PICKING UP MY CHILD? Conditionally. If you remain in your vehicle and the handgun is unloaded before entering school grounds, yes. If you have to exit your vehicle while picking up your child, the handgun must be unloaded (as above) and secured (locked) within the vehicle out of plain view. Use caution if you must exit the vehicle with a handgun (or any weapon) to secure it in the trunk of your vehicle. Others may see you and not understand your intention. MY APPLICATION FOR A PERMIT WAS NOT APPROVED BECAUSE OF A FELONY ARREST MANY YEARS AGO. THE PROSECUTOR DROPPED THE CHARGES AND I WAS NEVER PROSECUTED. WHAT DO I DO NOW? You must contact the respective prosecutor's office or involved court that handled the case and obtain documentation that specifically states you were not charged with and/or have no record of a felony conviction in regards to that specific charge and you are not currently under felony indictment in that jurisdiction. Submit that documentation to the CWPU within the time limit given on the denial letter. You may also request a review and challenge of your criminal history through that states Criminal History Records Section. I HEARD THAT ONCE YOU OBTAIN AN ARIZONA CCW PERMIT, YOU HAVE TO CARRY CONCEALED ALL OF THE TIME (IF ARMED) AND ARE FORBIDDEN TO CARRY OPEN. IS THIS TRUE? No, while in Arizona you may carry open or concealed. Check other states you may visit for their requirements. I ENTERED A PRIVATE BUSINESS WITH MY CONCEALED HANDGUN AND CCW PERMIT. THE BUSINESS DID NOT HAVE ANY SIGNS POSTED PROHIBITING WEAPONS. SHORTLY THEREAFTER, AN EMPLOYEE APPROACHED ME AND SAID THEY DO NOT ALLOW FIREARMS IN THEIR BUSINESS AND I MUST TAKE THE GUN OFF THE PREMISES. CAN THEY DO THAT? Yes. Arizona law permits private business owners (or their designates) to prohibit weapons from being brought onto their property, whether signs are posted or not. Private businesses are typically non-government operated businesses such as grocery and department stores, convenience stores, laundromats, banks, office complexes, etc. Failure to obey the request can result in your arrest for trespassing. (ARS 13-1502 / ARS 13-1503). ARE THERE ANY FIREARM RESTRICTIONS? - National parks (peace officers are limited) more information available at www.doi.gov or contact the park service regarding pending federal legislation. WHAT ARE THE SCHOOL EXCEPTIONS WHEN CARRYING CONCEALED WEAPONS? - Additionally, designated employees of a school may order a person off of school property if that person is believed to be interfering with school operations. School boards may also enact specific and more restrictive rules governing firearms and deadly weapons on school grounds (ARS 13-2911). WHAT ARE PERMIT HOLDER REQUIREMENTS? WHAT ARE THE RULES ABOUT CARRYING IN STATES OUTSIDE OF ARIZONA? It is extremely important that all Arizona Permit holders be aware of the CCW requirements and laws of all reciprocating/recognizing states. An Arizona CCW permit does not supersede any other state's law or CCW requirements. Persons carrying an Arizona permit are subject to the laws of the state they are visiting. If you are an Arizona permit holder traveling to another state and wish to carry a concealed weapon using your Arizona permit, contact that state directly to confirm their recognition status before carrying concealed weapons there. Some states only recognize permits from persons who are a resident of the issuing state. Some states have an active CCW reciprocal agreement on file with the State of Arizona. This means your Arizona permit allows you to carry concealed under their respective state statute, and Arizona will reciprocate by recognizing CCW permits issued by these states, regardless of whether they are "Resident" or "Non-Resident," if so marked. Please click here for additional information. MY PERMIT HAS AN ERROR ON IT; HOW SHOULD I REPORT THIS? Look under the Forms section on this webpage. You will find a printable document titled Change Name / Address / Lost / Stolen / Damaged / Non-receipt of Permit / Error on Permit. Print the form; complete the appropriate section(s). Mail the form and required fee to the permit unit. The address is listed on the form. A replacement permit will be generated and mailed to you. MY PERMIT HAS BEEN LOST OR STOLEN; HOW DO I GET A REPLACEMENT? Look under the Forms section on this webpage. You will find a printable document titled Change Name/Address/Lost/Stolen/Damaged/Non-receipt of Permit/Error on Permit. Print the form; complete the appropriate section(s). Mail the form and required fee to the permit unit. The address is listed on the form. A replacement permit, with a new permit number, will be generated and mailed to you. MY ADDRESS AND/OR PHONE NUMBER HAS CHANGED. HOW DO I REPORT THIS? Look under the Forms section on this webpage. You will find a printable document titled Change Name / Address / Lost / Stolen / Damaged / Non-receipt of Permit / Error on Permit. Print the form; complete the appropriate section(s). Mail the form to the address is listed on the form. Your information will be changed in our database. I DID NOT RECEIVE MY PERMIT; HOW DO I REPORT THIS? Look under the Forms section on this webpage. You will find a printable document titled Change Name / Address / Lost / Stolen / Damaged / Non-receipt of Permit / Error on Permit. Print the form; complete the appropriate section(s). Mail the form to the address is listed on the form. A replacement permit, with a new permit number, will be generated and mailed to you. I HAVE LEGALLY CHANGED MY NAME; HOW DO I GET A NEW PERMIT? Look under the Forms section on this webpage. You will find a printable document titled Change Name / Address / Lost / Stolen / Damaged / Non-receipt of Permit / Error on Permit. Print the form; complete the appropriate section(s). Mail the form, a copy of the document demonstrating you legally changed your name, and the required fee to the address is listed on the form. A new permit will be generated and mailed to you. For the purpose of establishing mutual permit or license recognition with other states, the Arizona Department of Public Safety shall enter into a written agreement if another state requires a written agreement. Notwithstanding the provisions of this section, a person with a concealed weapons permit from another state may not carry a concealed weapon in this state if the person is under twenty-one years of age or is under indictment for, or has been convicted of, a felony offense in any jurisdiction, unless the person's rights have been restored or the conviction is expunged, set-aside or vacated and the applicant is currently not a prohibited possessor under state or federal law. Arizona Concealed Weapons Permit holders wishing to carry utilizing their permit while visiting another state are responsible for contacting that state to ensure reciprocity. Warning: It is extremely important that all Arizona Permit holders be aware of the CCW requirements and laws of all reciprocating/recognizing states. An Arizona CCW permit does not supersede any other state's law or CCW requirements. Persons carrying an Arizona permit are subject to the laws of the state they are visiting. These numbers reflect all transactions and the current status of permits, since the inception of the CCW program in Arizona on September 8, 1994. Please note, these numbers do not reflect changes, such as a permit that was suspended and later reinstated. Individuals who are no longer interested in maintaining an Arizona permit may surrender their permit. Once a permit is surrendered, it may not be reinstated. If, after surrendering a permit, you wish to obtain an Arizona Concealed Weapons Permit, you will be required to apply for a new permit. 1. Complete the Self-Surrender form which can be located on this web page in the Forms section. 2. Attach the permit card to the form in the designated area. 3. Mail the completed form, and permit card, to the address listed on the form.